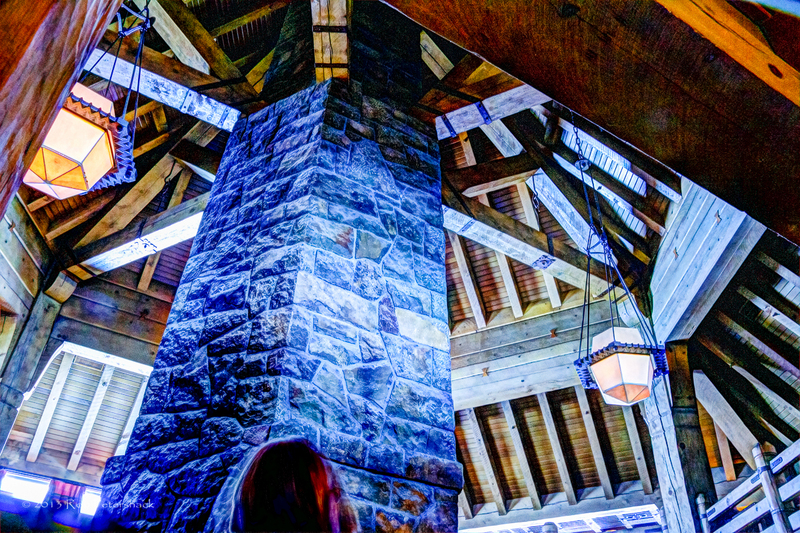 This is a HDR photo of a part of the fireplace at the Timberline Lodge on Mt. Hood, Oregon. The camera’s wide-angle lens is looking up two sides of the fireplace into the beams and rafters that support the roof as well as holding some rather nifty angular lights. It is a wild, wonderful world of angles and I hope a nice provides a nice angle on this week’s angle challenge.